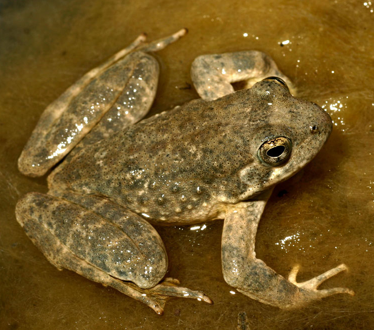 Over the last half century, the Foothill Yellow-legged Frog (R. boylii) has declined dramatically, especially in Southern California and the southern Sierra Nevada mountains. Dams and reservoirs have been cited as likely factors in this decline because they drastically alter the flow regime and sediment budget of rivers in which this species has evolved, resulting in permanent alteration to in-stream habitats. The ensuing impact on R. boylii status has been a focus of study over the last decade, but many knowledge gaps remain. Perhaps one of the largest gaps in understanding the effects of dams is determining the role of large aseasonal fluctuations in water discharge, referred to as pulsed flows, in R. boylii decline. Development of a 2-dimensional (2D) hydrodynamic modeling approach that evaluates the effects of pulsed flows on breeding and rearing habitat.